The changes in the words of Mass are easier to accept when we understand their personal benefit to us. Download this 3-page PDF document to distribute as needed in your parish, ministry group, or circle of friends. Line by line, many of the changes in the people’s parts of the Mass are explained in these three easy-to-read pages. 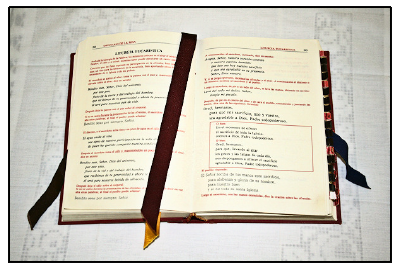 Source scriptures are referenced, and the commentary is designed to build faith, encourage greater participation in Mass, and assist Catholics in becoming familiar with the texts. Note: Supplementary bulletin articles or handouts by Terry Modica are available from Catholic Digital Resources at https://catholicdr.com/evangelaids/MassChanges.htm. Terry Modica is an author and international Catholic evangelist, the Founder-Director of the global Catholic evangelization outreach ministry Good News Ministries (www.gnm.org), and Publisher of Catholic Digital Resources, LLC (www.catholicdr.com).